Max Boot discusses his new book, The Road Not Taken: Edward Lansdale and the American Tragedy in Vietnam. In this biography, Boot demonstrates how Lansdale pioneered a “hearts and mind” strategy, a visionary policy that was ultimately crushed by America’s giant military bureaucracy, and suggests that Vietnam could have been different had we only listened to Lansdale. HAASS: OK. Well, good evening. And I don’t think it’s too late to still wish everyone a happy new year. I figure we got a few more days when we can do that. And this is a happy occasion because it marks the publication of a book by one of our senior fellows. This is a particularly happy occasion because this is a particularly good book. (Laughter.) And not all books are created equal, and this one is a really—it’s an important book. It’s written by Max Boot, the gentleman to my left or my right, depending upon your perspective, physically and politically. (Laughter.) And the name of the book is The Road Not Taken, which is one of the very few poems I can actually recite, so I like that. It’s stuck with me. You could have basically also called it Birches or something like that. I could recite that one also. The subtitle is Edward Lansdale and the American Tragedy in Vietnam. You know, the review in The Wall Street Journal this weekend is the sort of review people—I won’t say die for; they actually prefer to live for it. But it says it is “impressive,” “an epic and elegant biography based upon voluminous archival sources. It belongs to a genre of books that takes a seemingly obscure hero and uses his story as a vehicle to capture a whole era.” I’d actually say that Max has written a book that needs to be read. If you were going to give people a list of books to read about Vietnam, and you would say—you know, there’s any number of books about the political side. Sheehan is obviously on the American side. But I’d say it’s up there. You know, if you were going to suggest Karnow or Halberstam or Sheehan, now you’re going to also suggest this book. It adds an important dimension to the—to the history. BOOT: Thank you very much, Richard. So, you know, so much has been written about Vietnam. Actually, I’ve come to conclude that wars are now—every war is fought three times. First, you have the debate about whether to go to war. Then you have the war. And then you have the debate about the lessons of the war. So this is—this is part of that third cluster. What brought you to do it? BOOT: Well, let me answer that question. But first, let me just give a small shout-out and thank you here, starting with you and the Council. And after those kind words, I have yet more to be thankful for. But, I mean, you know, it’s really been a privilege for me to be part of the Council on Foreign Relations since 2002. And this institution, I don’t need to tell everybody here, has been really at the center of American foreign policy thinking for nearly a century now, and I think what we do is more necessary than ever now. And so it’s truly a privilege to be able to work here, to write here, to be able to produce these books here. And I think it’s really a unique institution in American culture, and one that, as I say, is more important than ever now. BOOT: We can do the—we can do the whole hour on that. BOOT: Just a very quick shout-out to my fabulous agent, Tina Bennett, who’s sitting here in the front row. BOOT: And to my fabulous editor, Bob Weil, and the entire team at Norton/Liveright. Bob is sitting back there. And, you know, I couldn’t imagine, again, producing this book anywhere else. Just as I couldn’t do it at the Council—anywhere but the Council, I couldn’t do it anywhere but Norton/Liveright. And finally, and just in time—they just walked in—let me give a shout-out to my lovely partner, Sue Terry, and my extremely cute stepkids, Alex and Zach (sp), who just walked in—(laughter)—in the door with perfect timing. HAASS: Who actually were your research assistants, I hear. BOOT: And also Sherri Jo (sp), my long-suffering research assistant. HAASS: Ah, the other one. I lost my train of thought. BOOT: No, I lost it too, actually. But you asked a good question, which I dodged. BOOT: How did I get into writing this, yeah. HAASS: Yeah. I mean, this was—how did you come to write this book? Why did you choose Mr. Lansdale as your entry point to this book about Vietnam? And I should make clear more than Vietnam, even though that’s the subtitle. This is also a book that, among other things, takes you through the American experience in the Philippines and also some things I didn’t—about the American experience with trying to overthrow Cuba, Operation—and getting rid of the leadership, shall we say, of Cuba, Operation Mongoose. So it’s more—the focus is Vietnam, but it bookends it with what came before, during, and after. BOOT: Well, I wrote a little bit about Ed Lansdale in my last book, also a CFR book, about the history of guerilla warfare, and then I was casting about for what to do next. And, in fact, that modest, unassuming gentleman back there, Bob Weil, suggested why don’t you do a whole book on Ed Lansdale. And I was initially skeptical. I had to be won over because I said, well, I’ve already written about him; what more is there to say? And, of course, I think Bob was dead right because he intuited that there was an awful lot more to say. And in the course of the research I was lucky enough to uncover this vast amount of new information, including the letters that he wrote to his first wife, the letters that he wrote to his second wife—who was also his longtime, mistress—which together open this window into his innermost thinking that nobody else has ever had before. And in addition to that, of course, there have been an awful lot of newly-declassified documents. And so, you know, if you want to know how to influence an election abroad, there’s probably no better manual than the report that Ed Lansdale wrote to CIA Director Allen Dulles. BOOT: I think—I think there are growth opportunities here. This is—this is like franchising of the book that we can do here. So there’s an awful lot of new information out there. And so there is this rich and complex story, I think far richer and far more complex than people were aware of, even though Lansdale has been written a lot about in the past. I mean, he was supposedly—not really, but supposedly the model for The Quiet American, definitely the model for one of the main characters in The Ugly American. He was—as you mentioned, you know, he’s been written about by Halberstam, by Sheehan, all the giants of Vietnam War literature. But again, I think there is this whole new story underneath the surface which people didn’t really know, and it was—it’s really been my privilege over the last five years to bring that out. HAASS: His story, just on a personal level, it is remarkable. Here’s this guy who’s, what, an advertising man in Southern California, I think it was? HAASS: It would be like if we found out Ed Haldeman or something—Bob Haldeman had, you know, gone on to be a major CIA operative. HAASS: But it is a quintessentially American story. HAASS: Went on, obviously, to be the CDI, the director of central intelligence. Calls the American assassination of President Diem—am I pronouncing it right? Or Diem, some would say. BOOT: There’s multiple ways—Diem, Diem, Diem, whatever. HAASS: The quote: Worst mistake of the Vietnam War. So—and it figures this assassination is—really, it’s the pivot point, in some ways, of your book, of your historical argument. So why don’t you talk about it? Which is, one, why the Kennedy—what brought the Kennedy administration to this point? I don’t know if you want to use the word encouraging, instigating, whatever world—I would be curious at the word you would choose. And second of all, do you agree with Colby’s assessment? BOOT: Well, I do agree with it. And what happened with Diem, I think, was a tragedy of untold proportions, because essentially—I mean, you have to back—to understand how tragic the situation was, you kind of have to back up to the beginning of the story, which really began in 1954, when Ed Lansdale arrived in Saigon a few months after the fall of Dien Bien Phu with instructions from Allen Dulles to do what you did in the Philippines, which is basically to create a state that can survive communist subversion. And to do that in the Philippines, he latched onto Ramon Magsaysay. In South Vietnam, he latched onto this newly appointed prime minister, Ngo Dinh Diem at a time when few people thought he would last nine weeks, much less nine years. And he really helped Diem to consolidate his authority. But he was also aware of these troublesome characteristics that Diem had, that he was fairly autocratic, not a new true Democrat. And after Lansdale left Vietnam at the end of 1956, Diem’s conspiratorial brother, Ngo Dinh Nhu, gained an ascendancy over him and Madame Nhu, who was also this electric figure. And together, they pushed Diem into a more confrontational, less democratic stance, which ultimately frustrated the Kennedy administration to no end. In 1963, when Diem got locked into this confrontation with these militant Buddhists, and it led the Kennedy administration and Henry Cabot Lodge, our ambassador on the scene, to conclude that we were never going to defeat the communists with Diem at the helm. And so we got to get rid of him. While Lansdale, the whole—I mean, he was no fan of Ngo Dinh Nhu, and he had tried to push back against Diem’s more autocratic tendencies—but what he was saying in Washington was: No. This is going to be a calamitous mistake because, yes, Diem has his faults, but he is a genuine nationalist. He’s not corrupt. He has some legitimacy. He has some credibility. His government is doing some good things. And I know all the people who want to replace him, all these generals. And they’ve be far worse. And unfortunately, people like McNamara were not listening to him and they went ahead and gave Henry Cabot Lodge the go-ahead to get rid of Diem, which occurred on the very day, November 1-2 of 1963, when Lansdale was retiring from the Pentagon. And the consequences were very bit as calamitous as Lansdale had predicted, because there was a tenuous stability, not perfect to be sure. And there were troubling trends, even under Diem. But there was some stability. It had all collapsed the minute that he was gotten rid of, because then for—you had one military coup after another, all the generals are replaced, all the district governors, provincial governors are replaced. And the communists stepped up their subversion. And ultimately, that led Lyndon Johnson, in 1965, to conclude that he had no choice but to commit American combat troops to save South Vietnam, which was the last thing that Lansdale ever wanted to see happen. HAASS: What about those who are going to say that you slightly paint a rose-colored of Mr. Diem, and that he did have, shall we say, autocratic tendencies, and there’s no guarantee that had he stayed—it’s hard to argue things would have been worse, but it’s a bit of a counterfactual. What gives you the confidence that things would have necessarily turned out better, that in fact there really was a turning point? BOOT: Well, I mean, I think you put your finger on it. It’s hard to imagine that things could have turned out worse. I mean, the point that I make in the book is that if we had stayed with Diem and not Americanized the war—that was—that was no guarantee that we were going to win the war, to be sure, because North Vietnam was going to be a formidable adversary under any circumstances, with far more will to win than we had. But at the very least what you could say is that even if we lost the war, it was not going to cost the lives of 58,000 Americans. That this was going to be a war that was won or lost by the Vietnamese themselves, which is what Ed Lansdale wanted to see happen. And of course, one of the—one of the most calamitous consequences of overthrowing Diem was we took ownership of South Vietnam. It became our government, our country, our war. And it was no longer up to the South Vietnamese. We felt that having replaced their leadership, it was now up to us. HAASS: OK, my favorite moment in the book—this is a bit of spoiler alert, so if you want to put fingers in your ears for a second I’ll understand it—there is one of the great scenes, which is—takes place when Mr. Lansdale goes to meet Robert McNamara. And if there was ever yin meets yang, this was—this was it. But what’s the—this is early ’61? BOOT: I think ’62, I think, probably. HAASS: Then talks about his being summoned to the secretary’s office. And you say: Lansdale unceremoniously dumped his cargo of dirty weapons, caked with mud and blood, on the secretary’s immaculate desk, with great clatter. And then he basically lectures Mr. McNamara about the enemy. And he talks about the enemy of Vietnam uses these weapons. Many of them are barefoot or wear sandals. They wear black pajamas, usually with tatters of holes. I don’t think you’d recognize any of them as soldiers, but they think of themselves that way. The people on our side are being supplied with our weapons, and uniforms, and shoes, and all the best we have, and we’re training them. Yet, the enemy is licking our side. Always keep in mind about Vietnam that the struggle goes far beyond the material things of life. It doesn’t take weapons and uniforms and lots of food to win. It takes something else—ideas and ideals. And these guys are using that something else. So how’d that—how’d that meeting end? BOOT: Not well. (Laughter.) McNamara basically concluded that Lansdale was idiot, because he was not going to help him reduce the entire war to an arithmetic equation, and basically dismissed Lansdale and said basically, you know, get your weapons out of my office, please, and have a nice day. And that was it. And that was—that was just a huge source of frustration because, you know, Lansdale tried to make McNamara and the other policymakers in the Kennedy administration realize the true nature of the war, and to understand that we were not going to win just through superior firepower. And unfortunately, that message would be vindicated in the years ahead. But it was not something that McNamara was willing to believe in the beginning. HAASS: Towards the end of the book, it may even be the afterward or the conclusion, you talk about the three Ls, which I believe are learn, like, and listen. Why don’t you say a little bit about the three Ls and why you made this your final—kind of your parting thoughts in the book. BOOT: Well, because I think there’s a lot in Lansdale’s story that still has a lot of relevance for how we deal with these challenges today, because obviously while the nature of the insurgent threat that we face has changed a lot since the 1960s—we’re not facing communist insurgents anymore; now they tend to be jihadist insurgents—nevertheless, a lot of the challengers are very similar. And there’s still a tendency today, as there was there, to think that there is some kind of technological solution to the problem, that if we just kill enough insurgents we’re going to win. And I think that proposition has been disproven time and again, whether it’s in Iraq, or Afghanistan, or Syria, or Libya, or Somalia, or anywhere else. But Lansdale had a different approach, and one that kind of runs counter to this technological American mindset, because what he said is it’s those three Ls that I talked about. You have to learn about the local population. You have to really figure out how the society functions and what’s going on. You can’t just impose this solution from Washington. Second, the like part, you have to really like the local people and you have to find credible local leaders to befriend them. And this was really a huge part of the Lansdale methodology, that he befriended people like Ramon Magsaysay in the Philippines or Ngo Dinh Diem in South Vietnam. And the final part of it is listen. And this, again, sounds dead simple but is very rarely done. How is it that Lansdale was able to influence these people? It wasn’t because he had huge suitcases because of cash, and it wasn’t because he had lists of non-negotiable demands and threats to cut off aid from Washington—kind of all the kind of typical methodology that we, Americans, like to use, and liked to use in the ’60s, and like to use today. The way he influenced these people—and this was very novel, you know, hold onto your chairs—he listened to them. He actually listened to what they had to say. And this—you know, in the case of somebody like Diem, this was a heroic endeavor, because Diem became infamous for his hours-long monologues. And he would, you know, bore most American interlocutors to tears. They would be fighting to get out of his office after two or three hours of listening to him to wax on and on about Vietnamese politics. But Lansdale had endless patience. He would listen to him, listen to him, listen to him. And finally, when he was done listening, he would say, oh, I understand what you’re saying. If I understand it, this is what you’re saying. And then he would very subtly rephrase what the person he was talking to was saying, and basically putting his own thoughts into the language of the other person and making this other person think that Lansdale’s ideas were his own. It was a very subtle method of operating, but it was very effective. And I think, you know, if we could produce more Lansdales today, more advisors with the kind of skillset that Lansdale had or T. E. Lawrence had, we wouldn’t need to send hundreds of thousands of troops all over the world, because these relatively small groups of advisors can actually do a lot of the heavy lifting by enabling local societies to defend themselves against common threats. I mean, that’s very hard to do. It’s much easier to say than to do. But I think, you know, if you can produce people with the kind of empathy and human understanding that somebody like Ed Lansdale had, I think you would be in many ways doing more for American security than creating, you know, entire Army divisions. HAASS: Well, why hasn’t this become the American approach to nation building? Or is it that it’s just harder than you’re suggesting to find people with that skillset, or is there something peculiarly American about a more top-down, militarized approach to these situations? Because we have any number of case studies, we have any number of—you know, part of this, when I was reading it, I was thinking of the Barbara Tuchman book about Stilwell in China. I was thinking about many cables I either read or participated in dealing with Hamid Karzai. BOOT: I mean, Karzai is a perfect case because, you know, we really needed somebody like Lansdale who could handle him, and we didn’t have that. HAASS: We did not have that. HAASS: —to put it. Is this something that can be taught? I mean, is this—because you could basically, again, come away from your book and you could be a pessimist. Or, if you actually felt that there was something here you could bottle, then you might say, just like we teach people on the military side what Dave Petraeus was trying to do and other in later stages in Iraq, say, why couldn’t we teach this for American involvements elsewhere? BOOT: I mean, it’s very hard to teach. I will just very briefly read to you what—how Lansdale described the art of friendly persuasion. He said it was based upon a realistic assessment of the enlightened self-interest of the one being persuaded, and the needs of the persuader. In other words, it’s the idea operation of friendship or alliance. Admittedly, it takes unusual skill in communicating between humans. It’s on a higher skill level than the rather pedestrian and unimaginative use of leverage and is on a higher ethical plane than the thoughtless generosity to a friend, the two bases upon which the U.S. seemed to operate in Saigon. And I think the bases on which we have also operated in places like Baghdad and Kabul. And I think you’re right. It’s—you know, it’s very hard to teach these Lansdales, I mean, how to go about and do what they’re doing. It’s much easier to produce people who know how to do targeting. And we’re very good at the technological side of military action. We can, you know, put warheads on foreheads. We do that better than anybody else in the world. But we also—it’s very hard to have the kind of patience and human skillset that somebody like Lansdale has. It kind of runs counter to the way the entire U.S. government is set up because, as you know, everything is based, these days, upon PowerPoint slides and deliverables and you have to show metrics of success—all the same kind of mindset that McNamara had. And Lansdale was trying to tell him: No, Mr. Secretary. You can’t do it that way. You have to focus on the feelings of the population, which can’t be quantified. You have to focus on building up more legitimate government that people will support. It’s not just a question of how much firepower you can deliver, how many insurgents you can kill. And that was a hard sell in the ’60s. And I think it’s still a hard sell, even though I think there’s probably more realization of the truth of some of these dicta today than there was back in the ’60s. But I think you’re right, it kind of—at some level it kind of goes against the American way of warfare. But I think this is a method that we need to learn for ourselves because when you think about how we’re going to win the war on terrorism, we’re not going to win it with our own troops. We are not going to send hundreds of thousands of troops to occupy the Middle East. Been there, done that, didn’t like it, not going to do it again anytime soon. The way we’re going to win this war on terrorism is basically with advisors, by helping local allies to become more capable. And those advisors really need to study the lessons of somebody like Ed Lansdale to figure out how to be more effective. HAASS: I’m just going to ask two last things, and then I’ll stop. Is there any place—just out of curiosity—where Lansdale is systematically studied? BOOT: You mean, within the U.S. government? BOOT: That’s a good question. I don’t—I don’t know that there is. Maybe there will be. I mean, I think there is greater interest now in his lessons. I mean, the Army, for example, is creating these new advise-and-assist brigades, which is a pretty radical departure from the Army way of doing things. So, you know, I think General Milley, who’s a very smart and learned guy, the Army chief of staff, I think has greater appreciation than his predecessors for the importance of this kind of advisory work. But we’re still not producing political advisors. That’s really, in some ways, the biggest need that we have. I mean, we can certainly produce guys who will go out there and teach foreign troops how to shoot straight. That’s not that hard. The more difficult part is how to cultivate leaders who will be relatively effective, relatively honest, who will figure out how to balance the various constituencies in their country, working with them. I mean, this kind of political advisory work is on a very, very high level, and very few people have the skillset to do that. But, you know, I think we really need more people who have those Lansdale-like skills. HAASS: OK. I will actually show uncharacteristic restraint and not ask the question I was going to ask. Plus, I’d rather have you all get into it. Just raise your hand. Remember, it’s on the record. Wait for a microphone. Introduce yourself. Is that Mary Boies I see over there? It is. Q: Mary Boies, a lawyer in private practice. It is said that Admiral Mullen, he was chairman of the Joint Chiefs, spent more time with General Kayani of the ISI in Pakistan than probably any other single individual in the world. And he—I haven’t read your book yet. You sent it to me, and I thank you. But it sounds to me like on some level he was doing a lot of the Lansdale kind of approach. And my question to you is compare and contrast. BOOT: Well, I think, you know, a lot of the stuff that Admiral Mullen tried to do was laudable, but I think it’s very hard to do that kind of approach when you’re the chairman of the Joint Chiefs and you have to do about a million other things, and you’re based in Washington. And he certainly had a lot of meetings with General Kayani and the Pakistani leadership, but now when you’re in that position you’re naturally pulled a million different ways. And I think a lot of what made Lansdale effective was that he was on the ground for years at a time. He wasn’t just flying in and out. And I think that’s kind of a—that’s another kind of American MO, you know, to send people on a 48-hour visit, march into the office, say: OK, Mr. President, let’s get down to brass tacks here. Here it is. You know, here’s what we want. And that approach doesn’t normally work, because the Lansdale approach actually paid dividends because he was there for years at a time. And most of the time when he showed up at the office he wasn’t asking for anything. He was just there to drink a cup of tea and to shoot the breeze and to win the trust of the person that he was dealing with. And I think, you know, Admiral Mullin was right in what he was trying to do, and he was well-intentioned, and he was skillful, but I just don’t think that he had the time or the ability to really make the kind of impact that we need to make in that kind of situation. HAASS: The other thing about—just to say about Lansdale, he was terrible with languages. One of the things I really liked is he was able to build these relationships. And he was in Vietnam and he couldn’t speak Vietnamese or French. BOOT: Yeah. No, it’s—that makes his ability to persuade even more—even more impressive. I mean, the other thing that—the other aspect of Lansdale that we should mention is that while he was incredibly effective in persuading these foreign leaders, even in languages he didn’t understand, his Achilles heel was he was horrible at persuading his own bureaucracy in Washington. And he was basically at constant war with the U.S. government. And that’s ultimately what did him in, because he made too many bureaucratic enemies in the end, and they—and they forced him out. So he kind of—you know, he lacked that deft touch with his own leaders that he had with foreign leaders. HAASS: OK. I see lots of hands. I’ll do my best. Sir. Q: Hi. Thanks. Greg Kubarych. An attorney in private practice in the Virgin Islands. You mentioned at the very beginning when you were describing Lansdale’s background that he worked with the Huks—or, the anti-Huks campaigns in the Philippines. And then also, I mean, he was contemporaneous with Nasution and Suharto, eliminating the Indonesian communists. And I just wanted to ask the second L seemed to be about identifying local leaders. Well, what would Lansdale’s prescription be if it turns out of you back the wrong horse? Because the Ngos, both husband and wife, and obviously Diem himself were, to put it mildly, Catholic zealots in a country that was nearly 99 percent Buddhist. 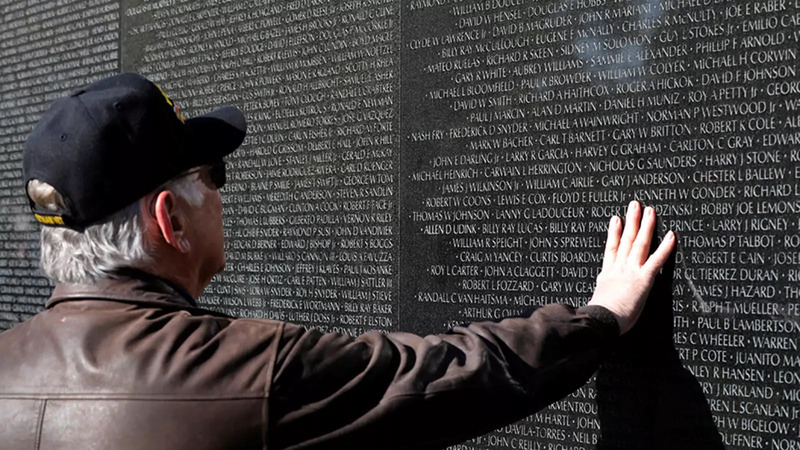 And it seemed that by the end of 1963, when you mention the militant Buddhist strikes and the monk burning himself in the middle of Saigon or Hue, that essentially they had reached a point where Lansdale’s own identified men in Vietnam had failed. And what would his prescription be to correct that? BOOT: Well, a lot of the prescription was not to just identify somebody and then leave them alone, because this was—in Lansdale’s perspective, this was the biggest problem with Diem, after Lansdale left Vietnam at the end of 1956, that there was nobody in that same position of trust with Diem. And, you know, when he was there—when Lansdale was there from ’54 to ’56, he was working on behalf of the CIA, personally working for Allen Dulles. But after he left, he wasn’t replaced. And the CIA kind of got into its comfort zone, which was not providing advice to foreign leaders. It was stealing foreign secrets. And so, you know, they were happy, you know, paying off housekeepers in the presidential palace to steal the president’s trash and deliver it to the CIA station. But they didn’t have anybody who replaced Lansdale in that position of trust. And that was really in Lansdale’s view—and not just in his view. I mean, it was also people like Walt Rostow and others subsequently said that, you know, we missed a massive opportunity by not sending Lansdale back to Vietnam, when he could have used his friendly persuasive powers on Diem to get him to back down on this confrontation, to move Ngo Dinh Nhu to the side, to rule in a more consensual fashion, as he had done when Lansdale was in Vietnam. And instead, you know, we went back to that kind of delivering demarches approach, which didn’t work. So it’s not just a question—yeah, you need to identify a good leader, but you also need to keep cultivating them, and supporting them, and advising them. You can’t just leave them to flounder on their own. And you can make the case, like in Afghanistan. I mean, conceivably, Hamid Karzai could have been a good leader. He got off to an OK start. But then we kind of left him to flounder on his own, and he reached solutions to stay in power that were very antithetical to what we wanted to see. Q: Pardon? Charles Henderson. I’m an attorney. Q: What about this option? As opposed to just going and attacking and killing of Diem and his brother and the wife and whole ensemble there, if you had left Diem intact and decided to take out the people that were influencing? Would that have been a different scenario? But, you know, he was basically trying to arrange a soft landing to give Ngo Dinh Diem a face-saving way to get rid of his brother and to move somebody else, like Lansdale, into that position of influence in Saigon. But the U.S. government wasn’t interested in doing that. They were basically saying, you know: Get rid of your brother, or we’re going to get rid of you. And that got Diem’s back up, because he had pledged to his father to protect his brother and all this kind of thing. And so we became locked in this hopeless confrontation where we placed our bets on these generals, who turn out to be far worse leaders. HAASS: Sir. Please wait for the microphone. Q: John Washburn, Columbia University. HAASS: The thing called the microphone. Q: I’m sorry? Oh, thank you. Once again, John Washburn, Columbia University. Why is the Lansdale approach so hard to put across? Professionally, I had the opportunity to observe people trying to use that approach. Probably as skillful, as profound as he did, but very much the same kinds of insights. I saw this particularly in connection with the Iran hostage taskforce, where the U.S. government, civilian and military, was surrounded by swarms of experts who tried to explain what was happening in Iran, and couldn’t. They got heard, but they didn’t get understood. Why is this so difficult, both on the civilian and the military side. BOOT: Well, again, I think it comes back to the question that Richard raised about why this, you know, Lansdale is not the favorite approach of the U.S. government. And I think, again, it kind of runs counter of our grain of relying on technology, relying on overwhelming power and military might, and thinking that that’s going to be sufficient to solve the problem. And, you know, he was this much more subtle and modest figure who did not promise overnight results, but would—you know, instead would vow to work his influence in ways that would be profound, but not immediate. And, you know, too often I think we’re much too impatient. And, you know, we go into every crisis thinking we’re going to end it in six months. And, you know, that was our approach in Vietnam, where everybody was serving there for one year at a time. It’s been our approach in Afghanistan and Iraq. And it’s very rare to have anybody at the beginning of these interventions who think about, you know, here’s where we ought to be in 10-15 years, because everybody’s really focused on the next 10 months, not on the next 10 years. HAASS: If Frankie FitzGerald were here, the author, as most of you know, of Fire in the Lake, would she basically say: You’re putting too much emphasis on two individuals, on Lansdale and Diem, and the difference were much more fundamental between American foreign policy goals and the nature of Vietnamese society? BOOT: I mean, you can certainly make that case. I mean, I think the—kind of the conventional wisdom on Vietnam, and this tends to be the conventional wisdom on any issue, is that the only way that history could have turned out was the way it turned out and there was no way we could have done any better, and it was a hopeless bet to begin with. And I mean, there’s certainly a strong case to be made for that in that regard. But I think that—you know, I think that we certainly did not have to ensnare ourselves in a tragedy that resulted in the deaths of millions of Vietnamese and 58,000 Americans. I mean, as I’ve tried to argue before, even if we weren’t ultimately successful, we could have been unsuccessful at a much lower—at a much lower cost. And conceivably, we could have—we could have done better. I mean, I don’t think it’s the case, for example, that, you know, Ho Chi Minh was the embodiment of all Vietnamese nationalism. I mean, there’s no question he was a genuine Vietnamese nationalist who had tremendous stature because of his leadership in defeating the French. But there were also a lot of non-communist Vietnamese nationalists. And I think if you look at the current historiography on Vietnam, much of the smart, young historians writing today will say that there was a genuine struggle over Vietnamese nationalism that, yes, Ho Chi Minh represented one strain of it, but there were lots of non-communist strains as well. And most people in South Vietnam were not eager to be ruled by Ho Chi Minh and the communists. You know, the communists didn’t win 1975 by popular acclimation. They won by invading and conquering the South. And unfortunately, I think what happened over the years was that the South Vietnamese government lost support, lost legitimacy, and became less effective, in part, because we kind of—A, we got rid of the most effective leader that South Vietnam had, and then backed a bunch of generals. But then we also kind of ignored their stealing from the public purse, their abuse of the population. We ignored all these things that they were doing with our support. And so that basically left a withered husk of a state that ultimately collapsed in 1975. And maybe—you know, maybe that was inevitable, but I do think that there was, as the title suggests, a road not taken that could have conceivably resulted in a less tragic outcome. Q: Thank you very much, Max. Allen Hyman, Columbia University Medical Center. With the new movie “The Post,” many Americans, especially young Americans, will learn about the Vietnam from that movie. And the Pentagon Papers are the major feature. Is there anything in the Pentagon Papers about Lansdale and his approach? BOOT: Oh, there’s an awful lot. I mean, starting with the fact that—in fact, I was tickled pink to see “The Post,” because the very first lines in the movie are showing Dan Ellsberg out—as a former Marine out in the boondocks with a weapon in hand. And one Marine says to another: Who’s the longhair? And the answer is: Oh, he’s with Ellsberg—he’s with Lansdale. That’s Ellsberg, he’s with Lansdale at the embassy. And in fact, that was how Dan Ellsberg got his start in Vietnam, was working for Ed Lansdale. And I actually had a very interesting conversation with Ellsberg about Ed Lansdale. And he said that, you know, he loved that man. He loved Lansdale and revered him, and still does to this day. And they had a very complicated relationship, because Lansdale was—like many of his colleagues—were obviously upset at the fact that Ellsberg leaked the Pentagon Papers. And in fact, some of the early revelations in fact concern Lansdale, his activities, in particular, in Vietnam in 1954 to 1956, sending secret sabotage squads into North Vietnam and so forth. And also, one of the things that Lansdale did was he created these CIA-backed organizations, like Operation Brotherhood, to bring Filipino doctors and nurses to South Vietnam to help the population. But, of course, the CIA role was strictly concealed. And it was revealed in the—in the Pentagon Papers. And a lot of the Filipinos who had worked with Lansdale got a lot of blowback when it was suddenly revealed that they were on the CIA payroll. So Lansdale had a lot of reasons to be sore at Ellsberg, but at the end, you know, he was—you know, Lansdale was a very interesting figure, because he was neither hawk nor dove. I mean, he believed in supporting South Vietnam, but he didn’t believe in doing it the way that we did it. And he adopted a much more, I think, balanced approach on Ellsberg, saying that, you know, he regretted what Ellsberg had done, that it wasn’t his—he didn’t have the right to declassify all these documents. But on the other hand, he also appreciated a lot of Dan’s more positive qualities, and the insights that he had into the war, which were—which were valid ones. HAASS: Was there anybody else in the Vietnam era who deserves a biography? Or was this—was Lansdale in some ways the last major figure who merited this kind of coverage? BOOT: That’s a great question. I mean, I’m sure there are others, I mean, some of whom may not—even I may not know well. I mean, I think you can always take a figure like John Paul Vann, as Neil Sheehan did, and to—and to make a story a compelling one, as I’ve tried to do in the case of Lansdale. And I’m sure—you know, I’m sure there are others. But you know what? I’d tell you, I think that the great unexplored area of Vietnam historiography is really not on the American side. It’s on the Vietnamese side. And we know very little about how South Vietnamese politics functioned. There was, in fact, a fellow that nobody’s ever heard of that I wrote about in this book called Nguyen Duc Tho (sp), who was a South Vietnamese general who was uncorrupt, very effective, and who Lansdale saw as being this new Magsaysay, this potential leader for South Vietnam. And he lost out in a struggle with the military junta and was sidelined and retired, ultimately became a boat person and a refugee in the United States. But, you know, he was another road not taken. If somebody like him had risen to the top in South Vietnam, maybe is history would have been different. But we know very little about that history. And I think there’s a lot of room to write about that. Q: I’m Bob Weil. I’m the editor of the book. HAASS: For the paperback edition, yeah. Q: No, Max should address something. You ask about what qualities, you know, were imbued in Lansdale, and what made him so intuitive in understanding the people and how hard it is to inculcate this in others. I really think Max needs to be talk about the role of Pat Kelly and the special insights that he got from a woman and, you know, what—it’s an extraordinary love story, but it also will tell you something special about this character. And I don’t think you can do this in every leader. BOOT: OK, I did not put him up to that, but it’s a great question. BOOT: I mean, it slayed me. I mean, I knew where their relationship was going, and I knew this was not truly the end of their relationship, this letter that she wrote to him in 1956. But I actually cried as I read it, because it was so moving and so powerful. And this, to me, was in some ways the unexpected horror of the book. Because, you know, I’m this crusty, old military historian, counterinsurgency guy. But a lot of this book is actually writing about this extraordinary romance between Ed Lansdale and this war widow that he met when he went to the Philippines for the first time in 1945, this extraordinary woman named Pat Kelly—so named because her previous husband who had died had been of Irish-Filipino ancestry. And Pat was working as a reporter and eventually went to work for the U.S. Information Agency. But she was from the same part of Luzon province where the Huks, the communist insurgents, were from. And so she became Lansdale’s guide to this backcountry, taking him, basically becoming his guide not only geographically but culturally, in helping him to understand Filipino society and understand the grievances of the Huks in a way that very few Americans had done. And then as they were going on these trips in these dangerous, insurgent-infested areas, this romance blossomed. And, you know, they fell head over heels for one another. BOOT: But it was—I mean, it was—it was a—I mean, there was a lot more than heavy breathing, because there was a true meeting of souls. And she was somebody who was this—a real firecracker, and somebody who stood up to him and told him off and told him what was going on, in a way that very few other people would. And it became this—his wife wouldn’t grant him a divorce and he didn’t push for it and they eventually reconciled. But then finally, at the end of the day in 1972, his wife died and Pat Kelly still had not remarried, and they were both grandparents by that stage. And Pat came back to the United States and they finally got married in 1973, and lived happily ever after. But it’s a truly—an amazing story. And I think she has a huge role in this Lansdale story which has never been told before because, you know, he wrote his memoir in 1972, at a time when his wife was still alive, and so there’s basically no mention of probably the most important person in his life, Pat Kelly. And what I’ve tried to do with this book is to kind of restore the balance and to tell his story in a way that it’s never been told before, including the central place of this very wise and peppery Filipino lady that was the love of his life. HAASS: Doc, you get the last question. Bob, you got to wait for this new mechanical thing called a microphone. Q: OK, thank you. I look forward to reading the book. I’ve enjoyed all your others. My question regards Mr. Lansdale’s education. Was he just a polymath, an autodidact, or did he actually also read a lot of other area, such as the French literature on counterinsurgency? BOOT: Well, he was largely an autodidact. I mean, he was—he went to—he was—he was a very middle-class guy. And he was certainly not from the bastions of privilege. He was not somebody who went to the Ivy League and, you know, Harvard law school, and a white shoe law firm on—in New York, like so many people here. (Laughter.) He was from a much more modest upbringing in Los Angeles, middle-class background, went to public schools in LA. And then went to UCLA, dropped out before graduating with hopes of becoming a cartoonist for The New Yorker or a playwright. Moved to—moved to New York in the height of the Great Depression and, not surprisingly, found it wasn’t easy to make a living, and eventually gravitated into advertising. And then joined the OSS in World War II and joined the Army and got sent to the Philippines. But he was largely self-taught. I mean, this is interesting because this is quite different from T. E. Lawrence, who actually studied the Middle East. As an Oxford undergraduate wrote his undergraduate thesis on crusaders castles in the Middle East. HAASS: And was a great linguist. BOOT: Yeah, great linguist, absolutely. Also was maybe not 100 percent sane. (Laughter.) He was—he was also somewhat mentally unbalanced, which was part of his genius. Very few stable geniuses out there. (Laughter.) And T.E. Lawrence was certainly not one of them. (Laughter.) But Lansdale was a—was largely self-taught. And what he really had—I mean, he had some book learning. I mean, for example, in the ’40s and ’50s, he was one of the few Americans who was reading Mao Zedong and really trying to apply his theories of revolutionary warfare, and understand that they were very important from our side as well. But he was largely self-taught. And his philosophy was: If you want to understand something, you got to go out and eyeball it. That’s what he said. And so he would spend all these years out in the boondocks in the Philippines just getting to know the people, traveling in these areas. Same thing in Vietnam. He was—he wasn’t somebody who would sit in the capital, go to a couple of cocktail parties, read a couple of books, and then, you know, come up with fancy PowerPoint slides. Of course, PowerPoint didn’t exist in those days. But he would really—I mean, he was—he was—he was really self-educated, and he really believed in talking to people to get his education. And that’s, again, obvious, simple methodology, but it’s one that not enough people make use of. HAASS: So I have a couple things to say as we close up. Most important, the book will be on sale here. And I hope you will stimulate the economy and you’ll be rewarded for it. This is one of those books that tells the story of a fascinating individual, but also it’s the portal to a much larger story about the Vietnam War. So it really is in that genre of it’s biography and history combined. I also think, given where we are right now, it’s not only interesting for what it says about someone who was into the, quote/unquote, “hearts and minds” approach, and that whole debate about how to fight these wars, but also he was—in some ways, even though he wasn’t at the State Department, he was an old-fashioned diplomat. And he embedded, shall we say, with the local government and the leadership. And this is a time in which lots of people are questioning the value of diplomacy. And one of the things that I hope this book stimulates is not just a thinking about how we use military force around the world as we go about our business, but also how we use diplomacy around the world to promote our interests. Again, I want to congratulate Max on producing a truly readable, really enjoyable, but important piece of history. You’ll be rewarded for it. So, Max, congrats, my friend.